This year, Hua Li is the recipient of the Alain Fournier Ph.D. Dissertation Award. 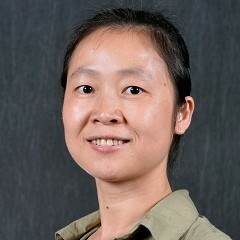 Her dissertation, entitled Perception-Motivated High Quality Stylization, made several outstanding research contributions to non-photorealistic image stylization. Her central observation approached image stylization from the angle of priority, where local greedy algorithms are tuned to achieve great results by properly structuring how local operations are ordered and applied. She applied her priority-based approach to automatic halftoning, stippling, and line art, where her algorithms always delivered very beautiful results. In fact, her stippling results are today considered the state-of-the-art. Her work and expertise also extend to image filtering, procedural image synthesis, non- photorealistic rendering, and human-subject evaluations of non-photorealistic images. Hua completed her B.Eng. in Mining Engineering and her M.Eng. in Control Theory and Control Engineering, both at the University of Science and Technology in Beijing, and her Ph.D. in Computer Science at Carleton under the supervision of Professor David Mould. She has co-authored a paper at Eurographics, two at Graphics Interface (one of which received the best student paper in graphics), two at NPAR, one at ARTECH (honorable mention), as well as other publications; a number of her contributions appeared as extended versions in journals. She has been a regular reviewer in Graphics Interface and other top computer graphics conferences and journals. She is now a faculty member at the University of North Carolina, Wilmington.